Recently, a local Catholic school teacher, Brian Panetta, was fired after he became engaged to his boyfriend. He had discussed his resignation with the school’s president. Apparently, everyone who works for the school must sign a contract, in which they agree to live by a certain code of conduct. A few hours later, he was fired. A few days later, the school decided to let him resign. The thing is that the school knew that he was in a relationship with a man. He had really broken the contract the minute he signed it. The school employed him for five years. For five years, he worked at the school as an openly gay man. No one had a problem until marriage became an issue. So is it better to be living with your significant other and not married than to be in a gay marriage? Would they fire a straight person who was living with their partner and not married? It doesn’t seem like family values are different if you’re gay or straight. How different is marriage from gay marriage? Shouldn’t we just call it marriage? 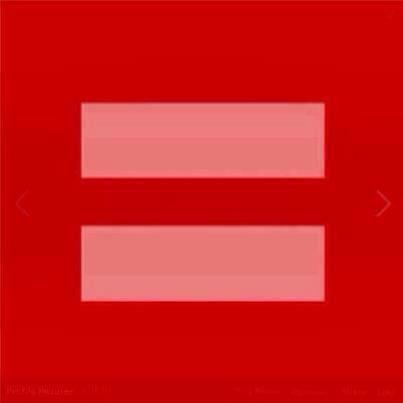 Kudos to Panetta for saying yes to marriage. It says a lot about his character. I can’t say the same for the school. Let’s just all call is “marriage”! I mean, after all, state contract or not that type of committment isn’t taken lightly (by most people that is), no matter the sexuality of the partners. I mean, Hun is my partner even though we’re a heterosexual couple. Does this also mean that heterosexual couples that live together and have committed to a lifelong relationship with one another and have children shouldn’t work at that school, or is it ok until they have children?? Good question. I read about another case where a female teacher had a child out of wedlock. She was fired. I think it was a Catholic school also. I’ll have to look it up. Personally, I have issue with institutions always interfering in individual lives. This coming from someone who once worked within an institution that interfered in people’s lives. It’s a very very very fine line, but nonetheless, my opinion is that it’s more often than not unnecessary and ridiculous. Another point …. in this battle!!! Whats the name of the %&$#@*&$% parish plea? I will be silent yet informed! Doesn’t surprise me at all. I was raised Catholic, went to the same school (could’ve been the one he worked at) from K to high school. After that I went to a Catholic university for my bachelor’s degree. Even lived at a dorm for ladies, run by nuns for 2yrs. I feel, in what was written and all my personal experiences related to the Catholic Church a degree of hypocrisy …. I learned about it, I went through it and felt it. It sad to see how religion, which is supposed to unite people in the loving of God, continues to perpetrate discrimination and separateness. There’s nothing new to me. I think this was well done … TY for this post. Reblog!! what “straights” do … Ex. the gay parking. It’s not always on our minds unless it’s brought up by society, those around you, etc. It’s such a small part of me. There is so much more to all of us!!! We live, we love, we work, we worry … we bleed red!! Thank you again for this post ……. Thanks for the comment. Glad you liked the post! I agree. People don’t always think about the human-ness of others. 🙂 Hugs to you! Agreed. “We bleed red”! Thank you, both. Thanks for commenting. 🙂 You’re welcome.